Yesterday, while I was out on Delhi roads, I could not help but noticed a private car emitting hurls of black smoke. Seriously!! Felt like that one particular car was responsible for the bad air in and around Delhi. Imagine the number of such cars or heavy transport vehicles like trucks running on the roads with a black cloud behind them. To start with, Electric vehicles are desperately needed in India or at least the public transport needs to be completely electrified to save our environment. But it is easily said than done! While India has sorted out plans to electrify at least 30% of Indian vehicles by 2030, we do not see that many non-conventional cars running on Indian roads. Imagine no petrol or diesel cars on Indian roads! Just a decade to go and there is no necessary infrastructure or regulations for the same. There is no incentive for either manufacturers or buyers to start making/ using EVs. The government itself does not completely look convinced about the idea because it continues making tall claims without achievable milestones. One of the major constraints for EVs to gather momentum in India is its high price. If EVs were launched at competitive prices (with conventional cars in the Indian market) they would definitely be successful. Because everything said and done India is a high price sensitive market. People are more concerned about their wallets than the environment. The major reason for the high price of an electric car in India is that most of its components are imported. India lacks competitive manufacturing in this regard. 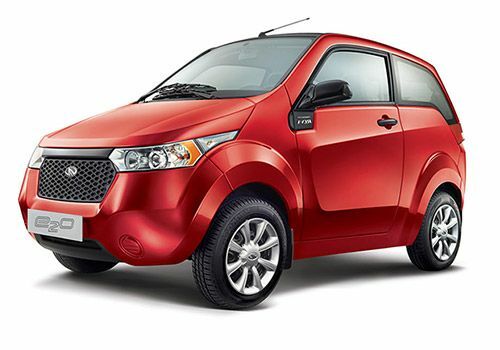 Mahindra and TATA are the only major Indian car companies foraying into electric cars. Also, auto components is a very big industry in India, generating millions of jobs for Indians and also contributing largely to the national GDP. A shift to EV stands to pose a great danger as an electric vehicle engine does not require more than 20 components when compared to a conventional internal combustion engine (ICE) which requires more than 2,000 moving parts. Many SMEs in the auto components industry are, therefore, reluctant to invest in electric vehicles. The Indian car makers argue that technology keeps on changing and the fate of the auto industry cannot rely on a technology that is still evolving. But given the state of air in the Indian cities, they should give it a try and work in unison to make EVs successful in India. However, even they need a clear roadmap to work in this regard. Many western parts of the world like Norway, Netherlands, California are adopting electric vehicles in a big way. Until and unless regulations aiming at reasonable pricing are passed, no one is going to either make or use an electric car in India. Global players such as Tesla, Renault-Nissan and Honda are waiting to launch EVs into India but are restrained by favorable government regulations in India.